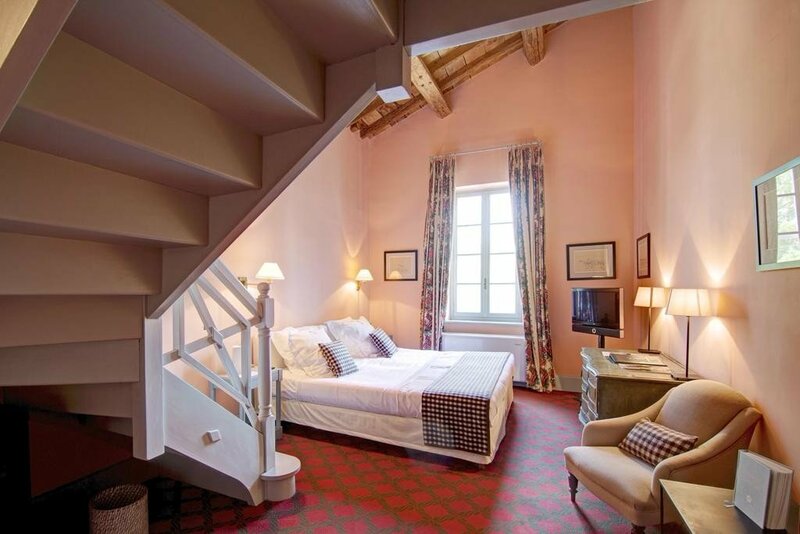 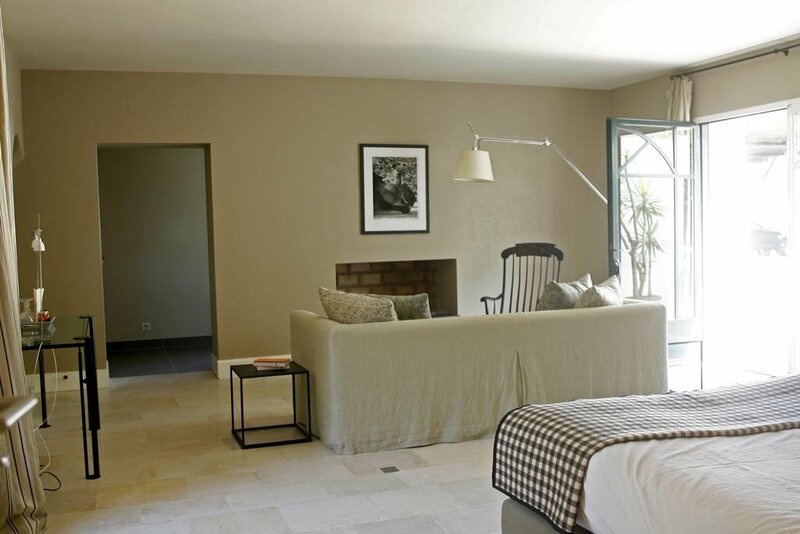 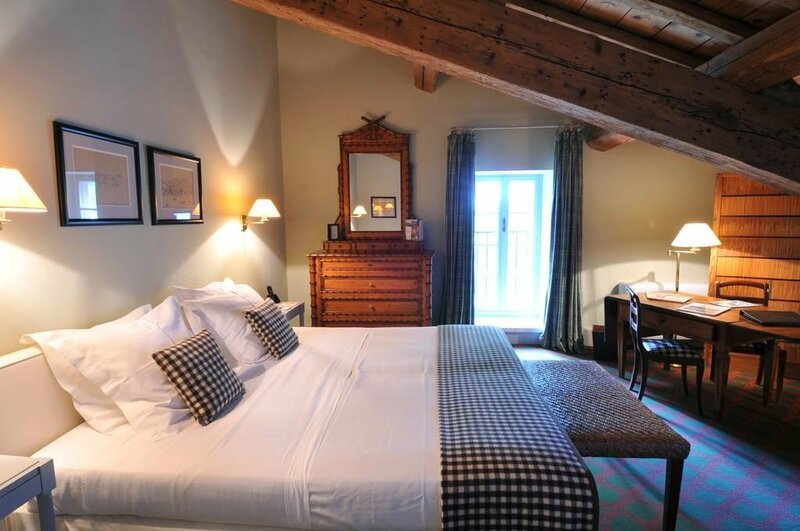 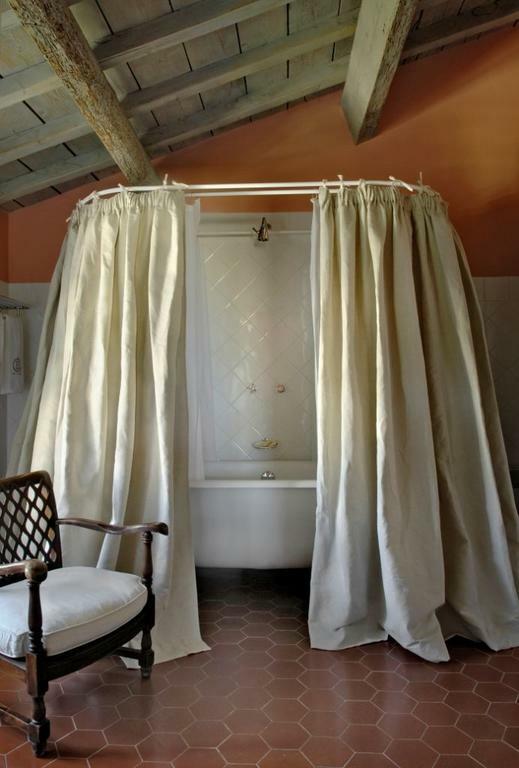 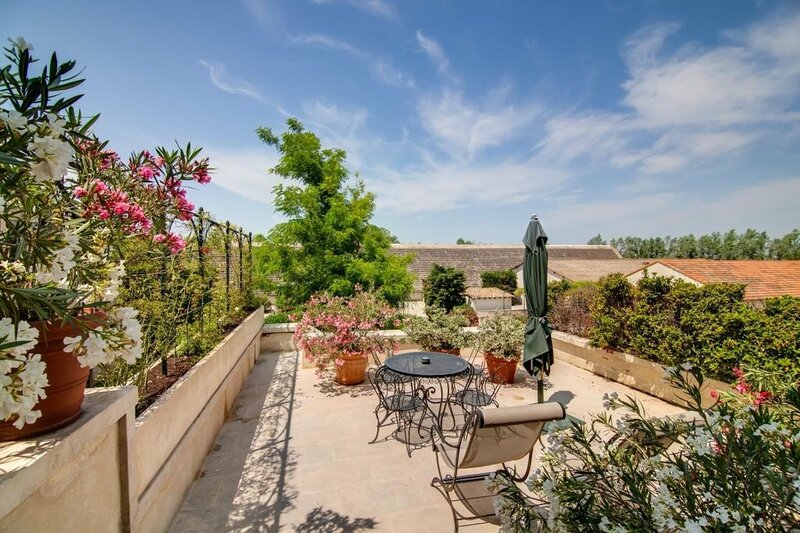 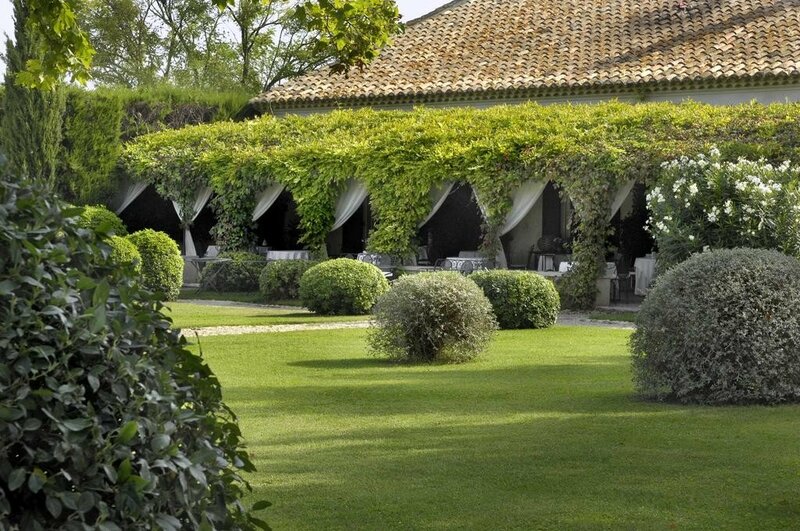 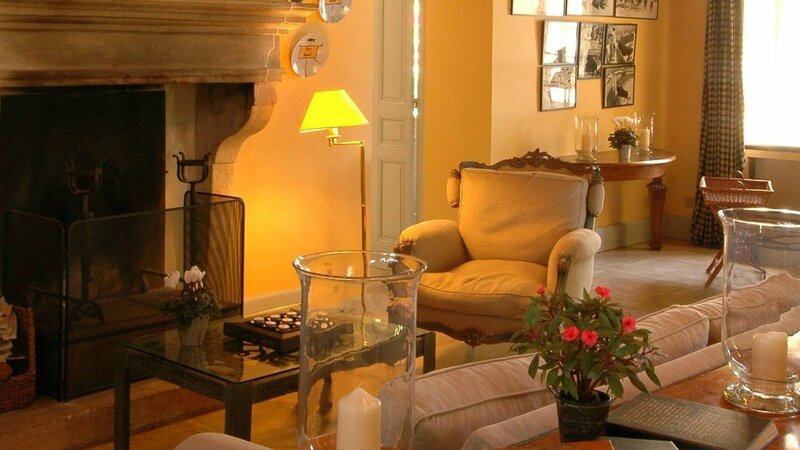 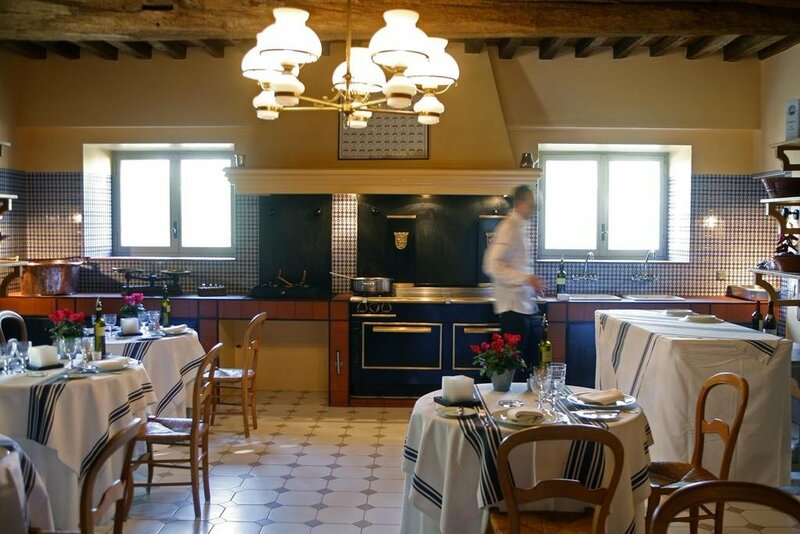 Le Mas de Peint has luxury farmhouse hotel accommodation hidden away in the wild Camargue region of southern Provence, between Marseille and Montpellier, and near to both Arles and Aix-en-Provence. 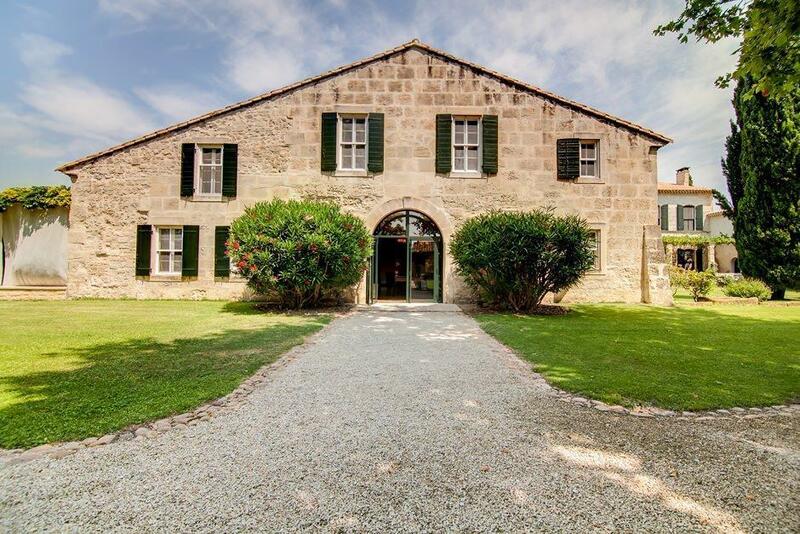 The estate is huge, there is a full 1250 acres of it to explore and can done on horseback. 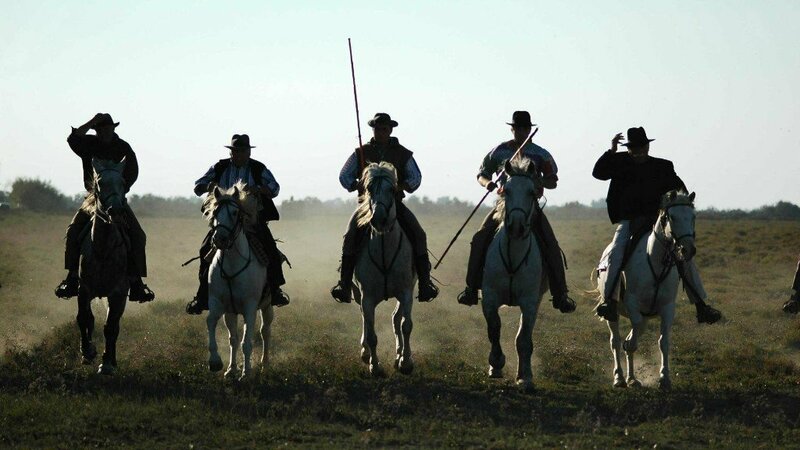 They keep a number of those iconic Camargue Horses at Le Mas de Peint and horse riding tours can be arranged, as can 4WD and mountain bike tours. 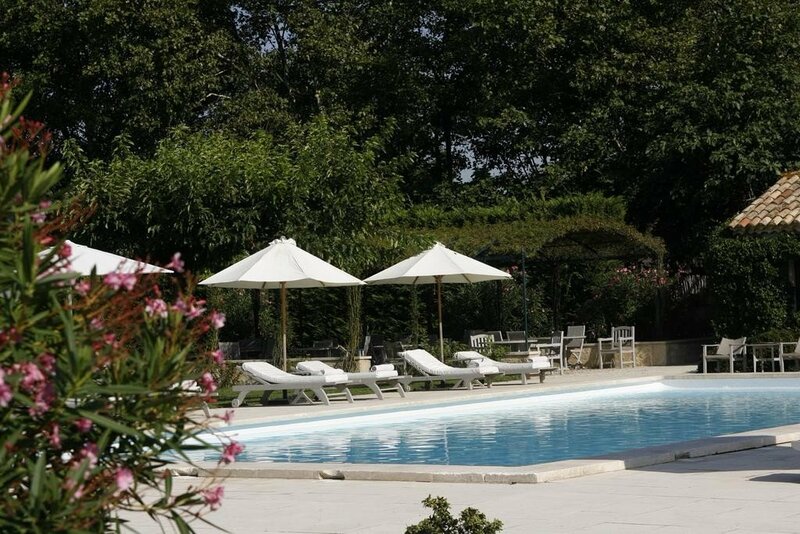 The gardens are beautifully kept too with an outdoor swimming pool and plenty of areas to relax. 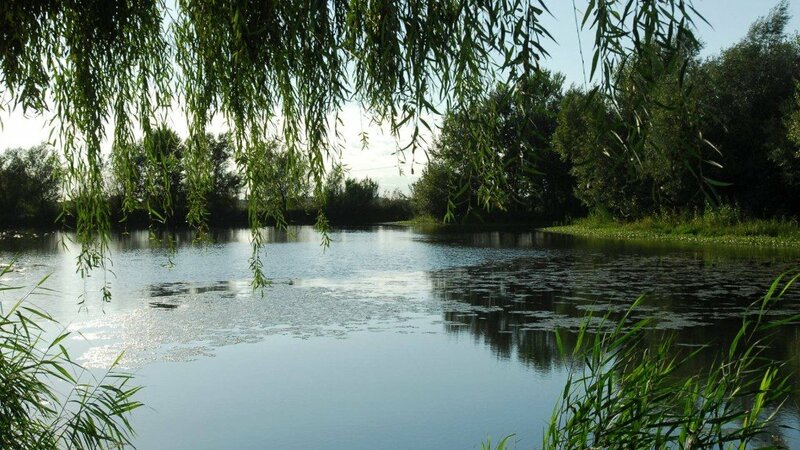 Beyond both the gardens and the farm you are in the middle of some beautifully natural countryside with wild flamingos to be seen among the salt marshes, rice fields and hidden beaches. 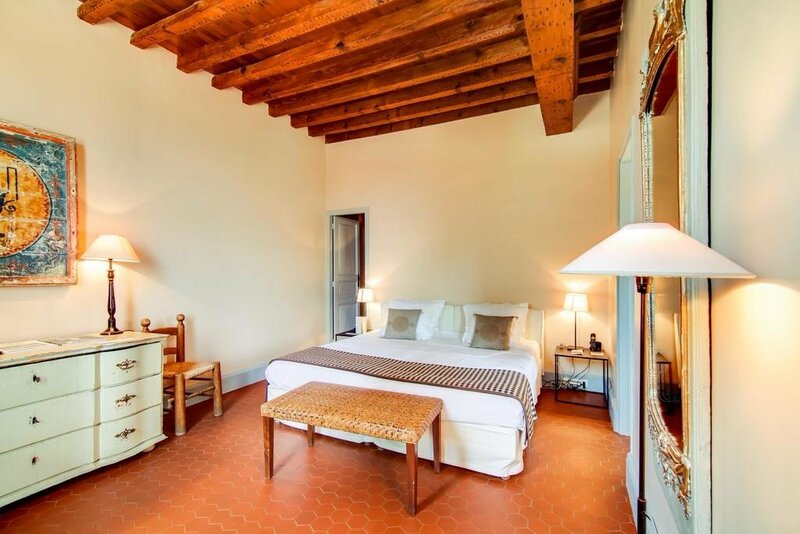 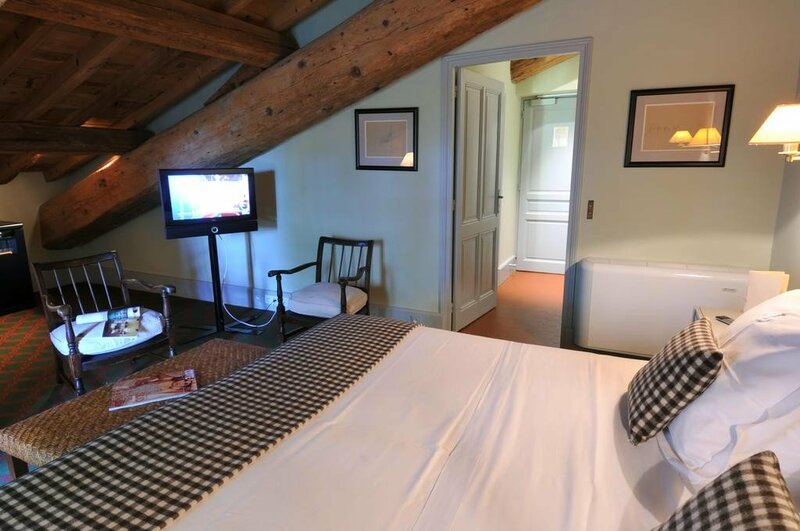 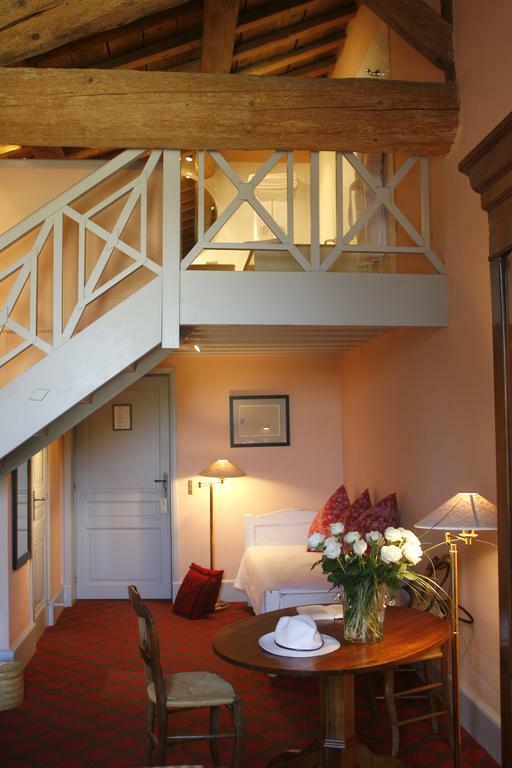 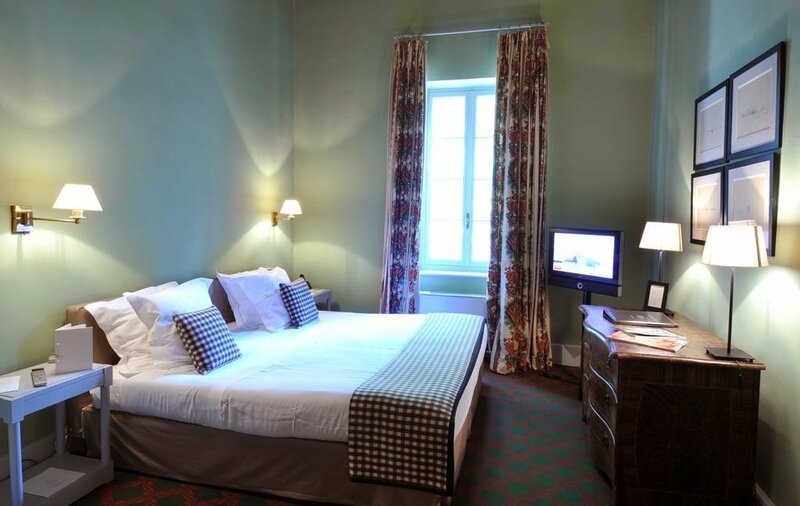 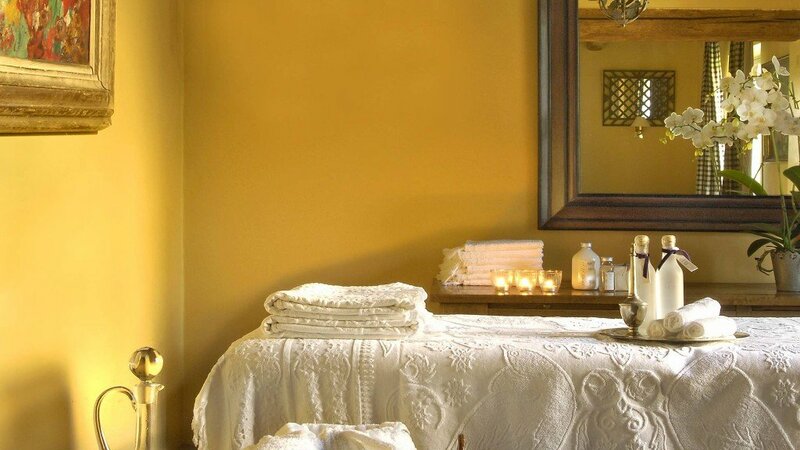 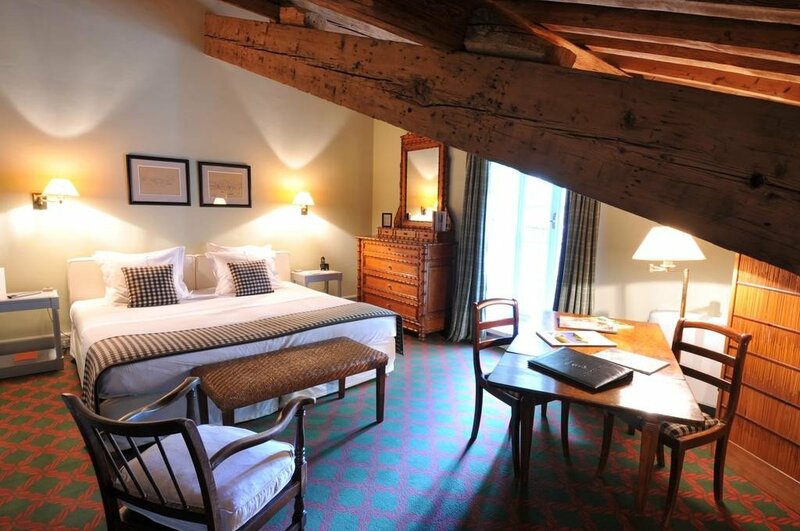 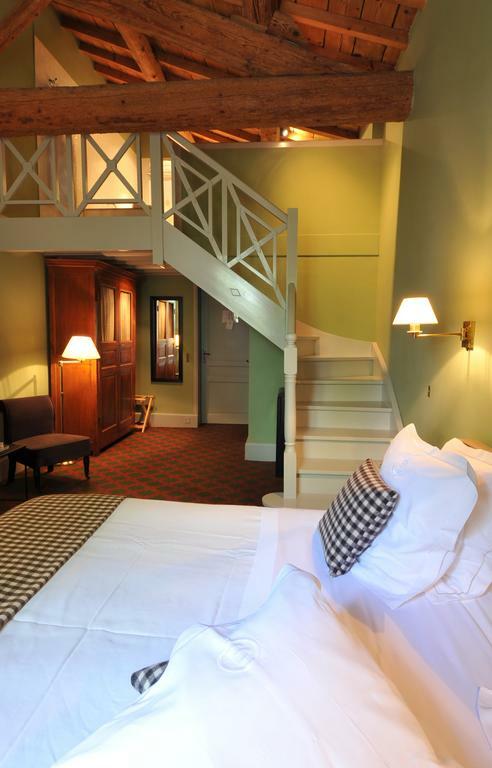 They have a choice of 13 luxury double rooms and suites that are tastefully and carefully designed in traditional style; where antique furniture and wood beamed ceilings sit easily with modern comforts and facilities. 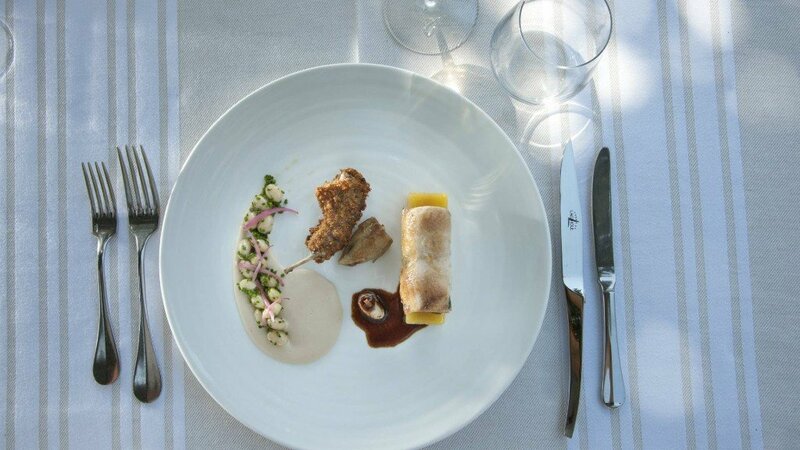 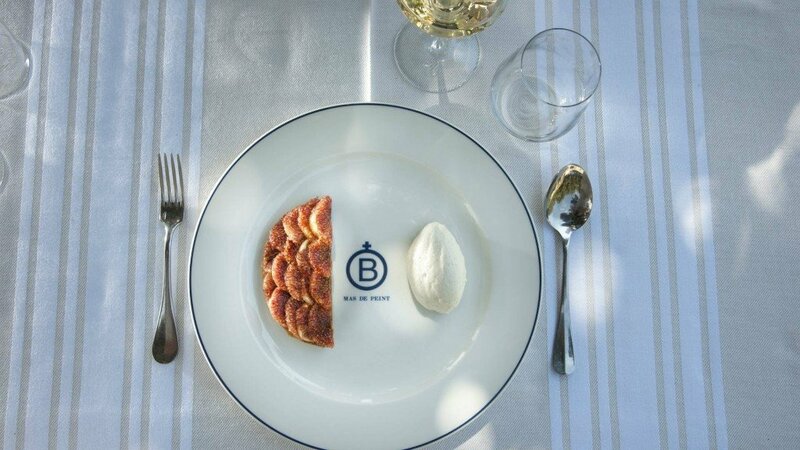 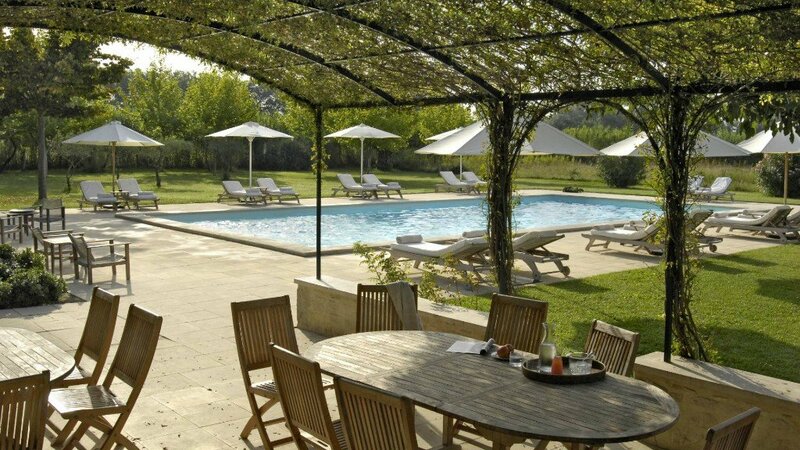 As well as the gardens and the outdoor swimming pool there is a top class restaurant at the farmhouse which serves up some extremely good authentic Provençal food, food which is accompanied by a great selection of wines. 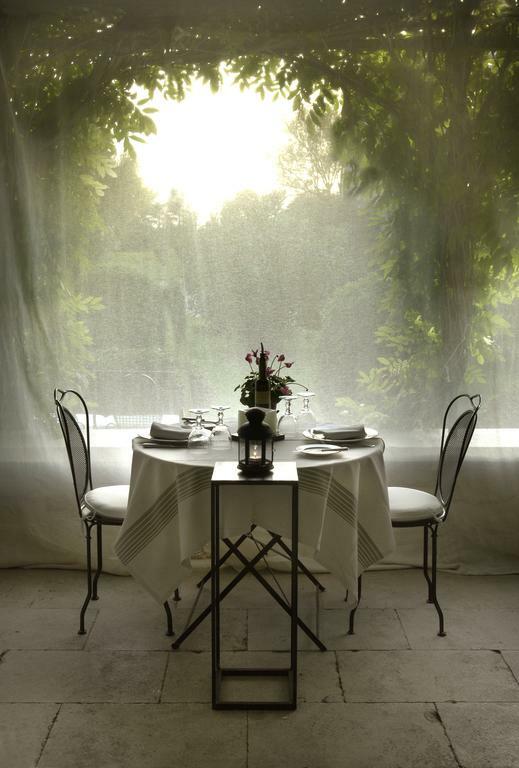 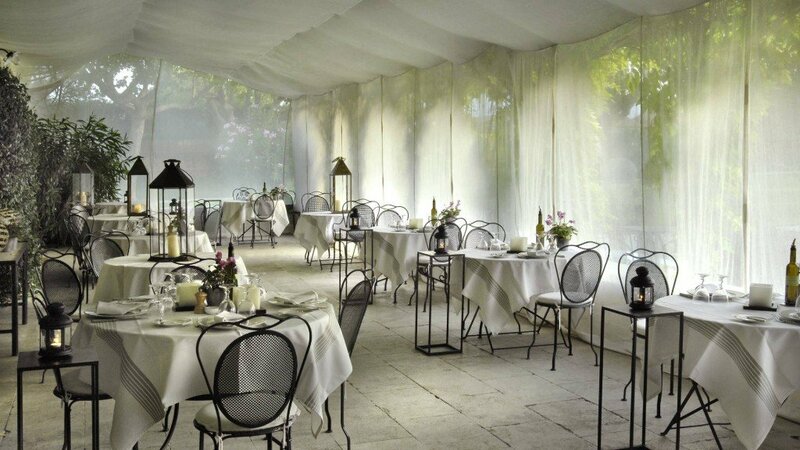 You can enjoy your meal in the dining room or on the terrace outside. 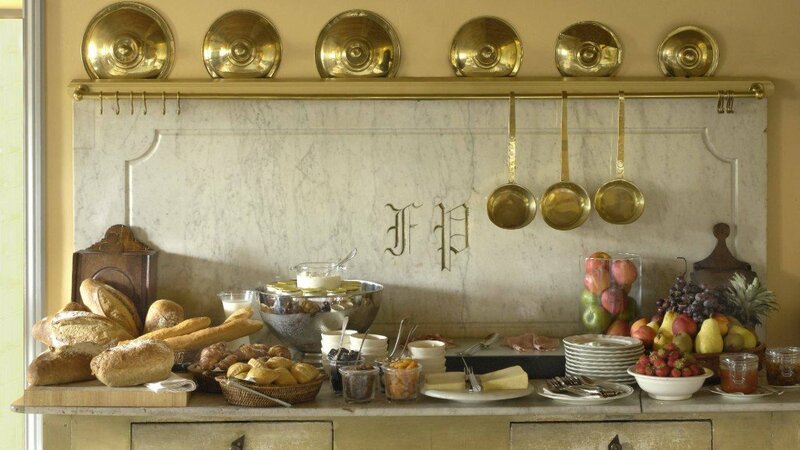 The breakfast is excellent too, though sadly you need to pay extra for it, i.e. 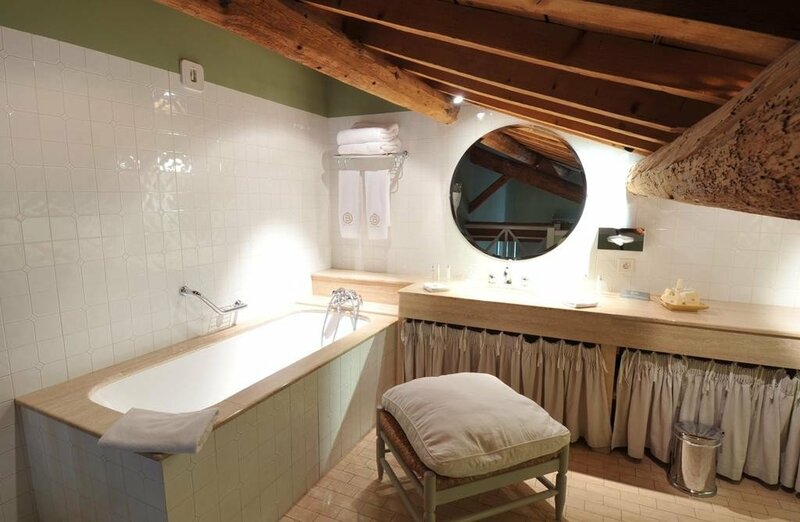 it’s not included in the room rate. 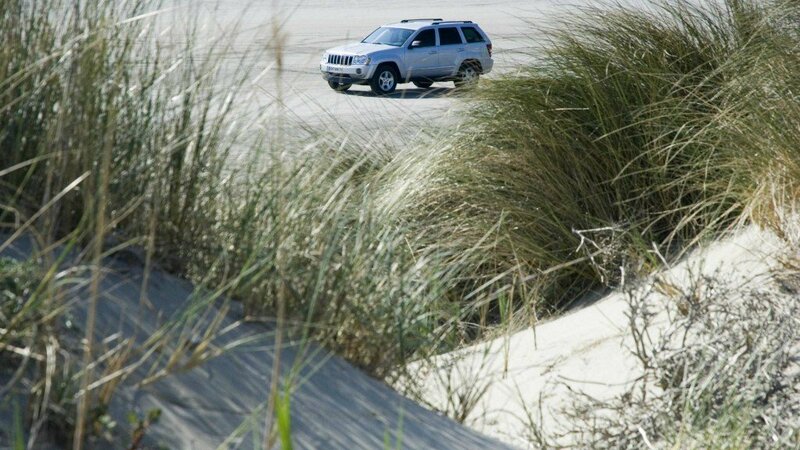 The huge ranch is great for exploring. 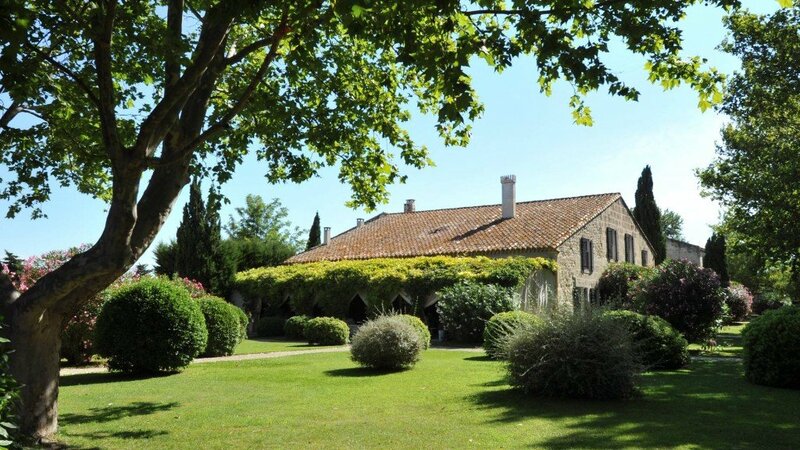 You can head out hiking or biking by yourself, mountain bikes are available for hire, as are massage services for any aching limbs afterwards, or you can join 4WD ‘Safari’ or horseback riding tours which go beyond the farm and deep into the Camargue. 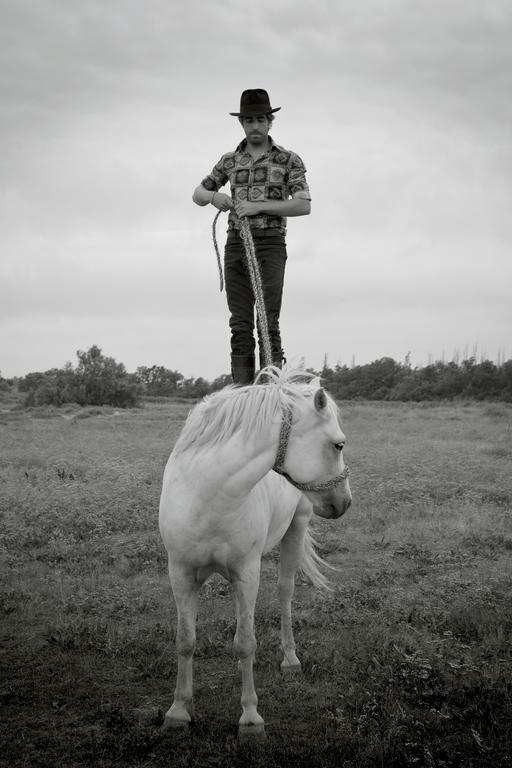 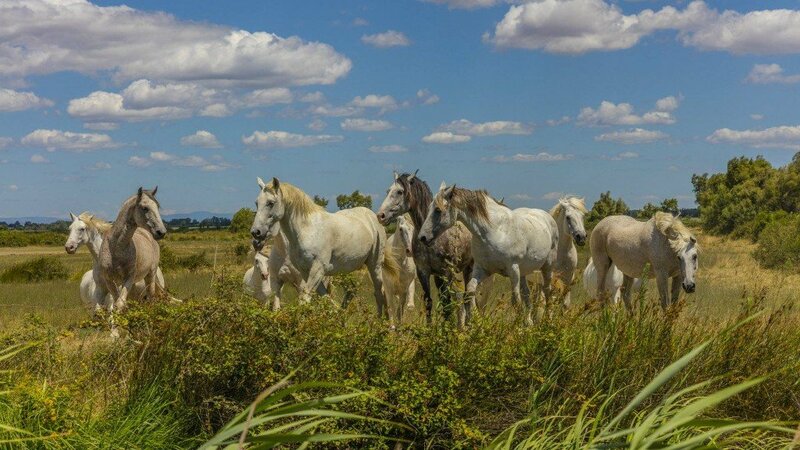 The horses on the estate, the famous white Camargue Horses, are, as you probably guessed from the name, native to the area and are believed to be one of the oldest species of horse in the world. 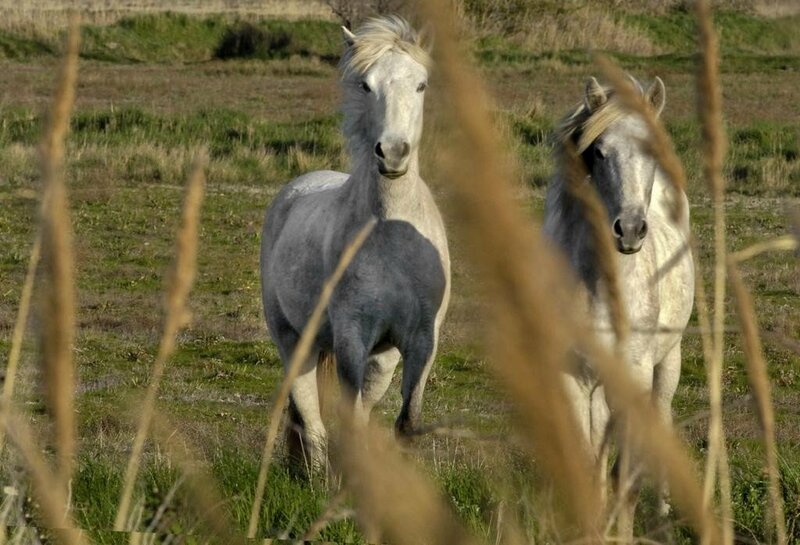 You will also see herds of wild horses on your travels in the area. 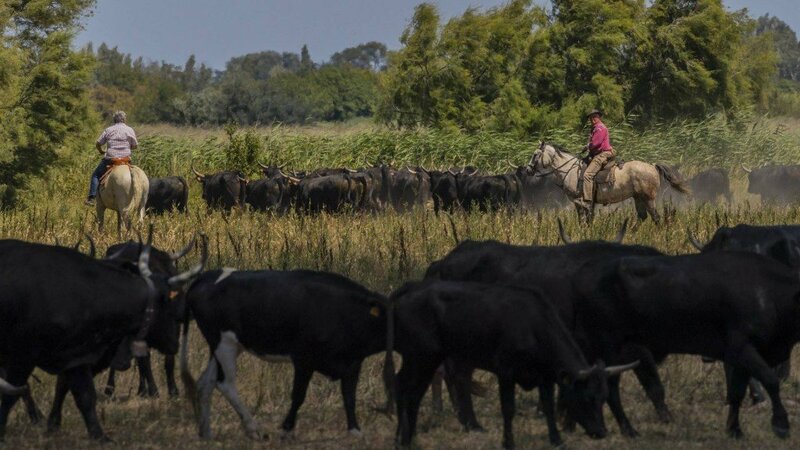 Between the cities of Montpellier and Marseille where the River Rhone meets the Mediterranean, lies the Camargue, a vast area of salt marshes with a wealth of wildlife, especially birdlife, that is a protected nature reserve. 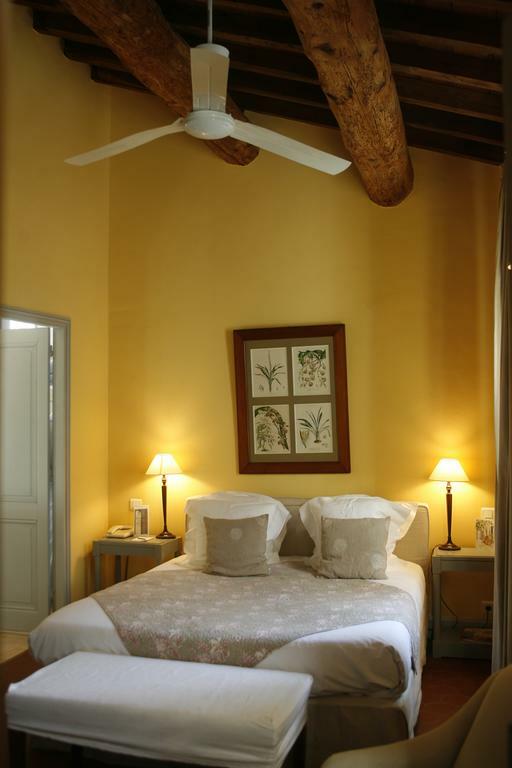 It is a magnet for nature lovers wildlife spotters and Le Mas du Peint has the distinction of being right in the middle of it. 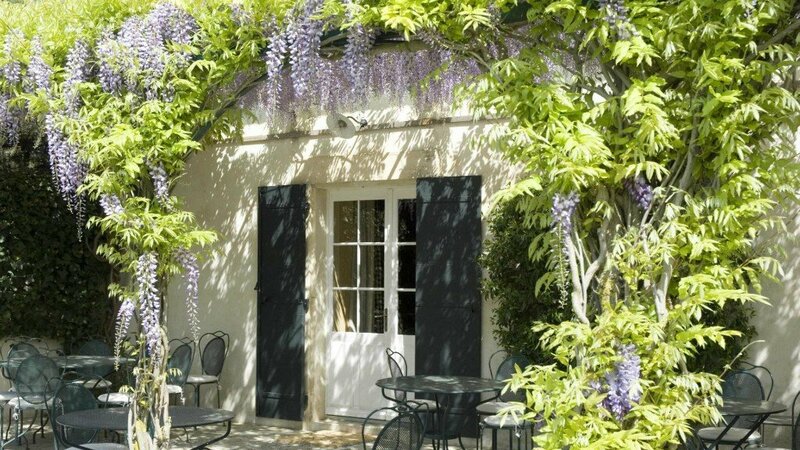 It is a sparsely populated area of course and in contrast to some of the other ridiculously crowded coastal areas of the South of France the coastline here is a particularly notable change. 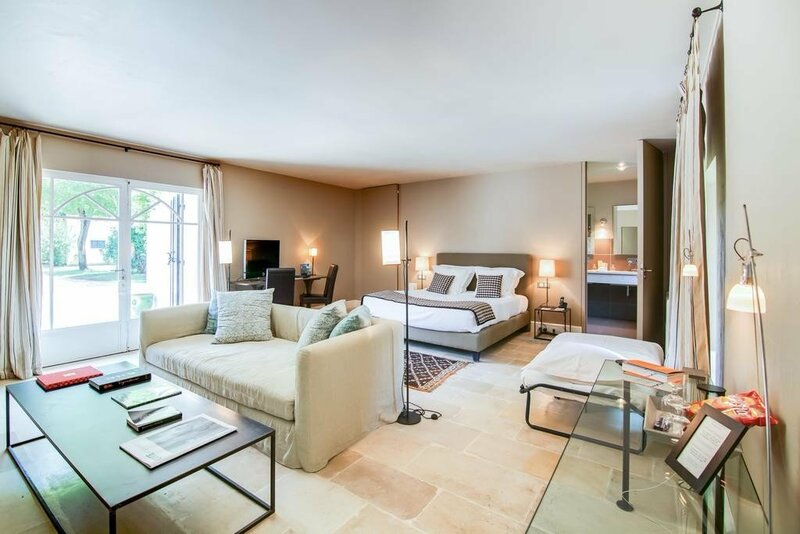 You can arrange tours of the surrounding area from the hotel, to such inspiring places as Piemanson Beach, the Pont de Gau Bird Park or the Vigueirat Swamps. 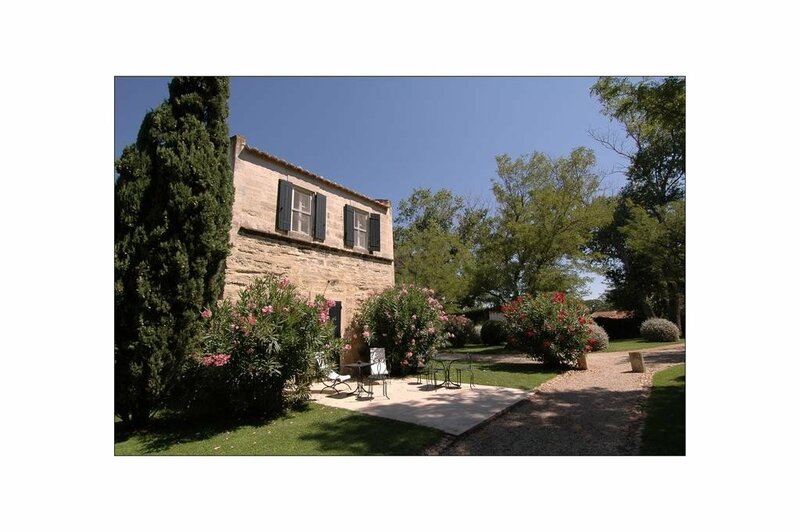 Beyond this unique landscape you are also within easy reach of one of France’s most touristic cities the beautiful, artistic Aix-en-Provence. 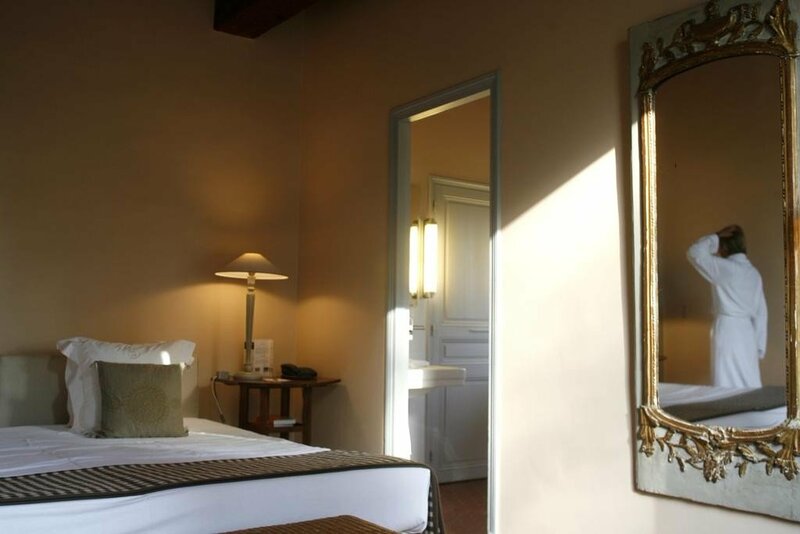 Nearer still is Arles, another city rich in art and history and with its famous UNESCO World Heritage Roman amphitheater. 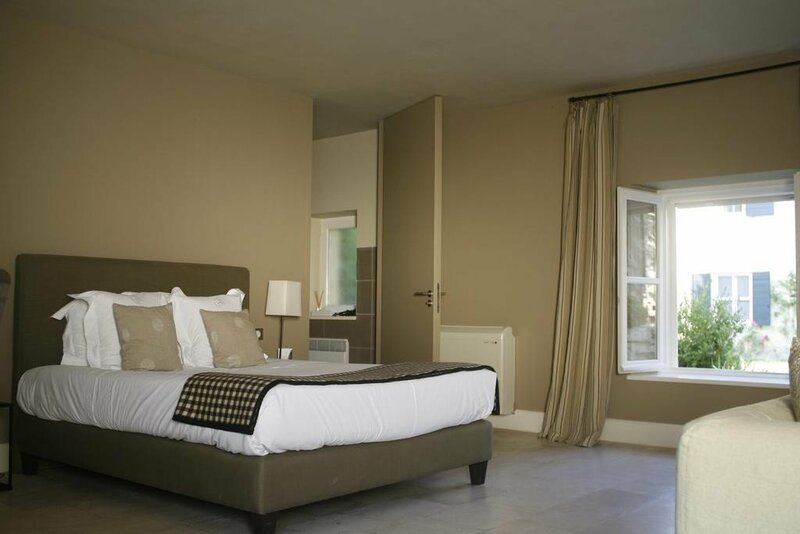 Just north east of Arles lies another iconic rural area; Les Alpilles, a rugged terrain of limestone hills and atmospheric old stone villages, that is sometimes seen as the most authentic part of Provence having remained stubbornly, relatively, unchanged by the region’s huge popularity with visitors.